This time of the year, we all begin to reflect on what has happened over the past 12 months. With that in mind, we decided to look back at the kind of year that Firefox has had. Here is a recap of the new features and improvements, standout MakeUseOf posts, and most helpful Firefox add-ons for 2016. 1. Chrome vs. Firefox in 2016: Which Browser Is Right For You? Chrome vs. Firefox in 2016: Which Browser Is Right For You? Chrome vs. Firefox in 2016: Which Browser Is Right For You? I want to explore why people might prefer one over the other, and hopefully those reasons will shed some light on features and aspects that you may not have considered before. Read More — In this post, Joel Lee gives us a great look at the best of both browsers. For those still trying to decide between the two, the article highlights the features that current users love the most. It is clear to see why Firefox fans enjoy their choice. 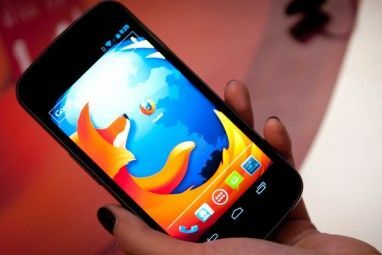 Customization options, a user-friendly interface, and the privacy features make Firefox stand out. For those who prefer Chrome, it is likely because of the huge extension selection, simple but sleek interface, and the security features. If you are unsure of which browser is right for you, this is the article you want to read. 2. 10 Ways to Integrate Firefox and Chrome 10 Ways to Integrate Firefox and Chrome 10 Ways to Integrate Firefox and Chrome Why choose one or the other? Here are some useful tips for using both Google Chrome and Mozilla Firefox together! 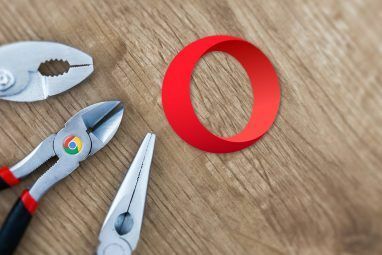 Read More — From Akshata Shanbhag, this piece is perfect for those who like to use both Firefox and Chrome rather than choosing between them. To make sure that they “work in harmony,” this article shows you exactly what you need to do. With tips for syncing passwords, bookmarks, and browser behavior, migrating links and tabs, and sharing useful features, you can easily bring Firefox and Chrome together. 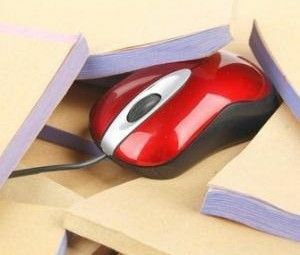 If you enjoy using both browsers for different things, then this article will help you turn them into a complete browsing package. 3. 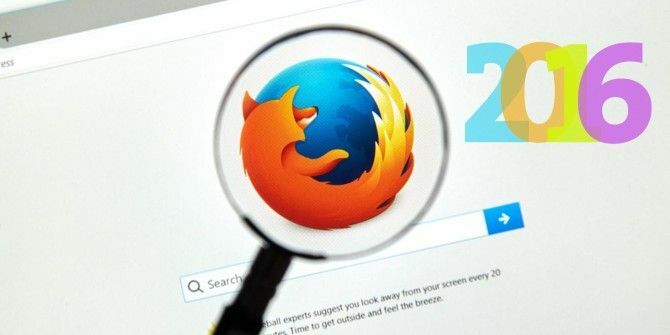 Speed Up Firefox Immediately With These 6 Simple Tweaks 9 Simple Tweaks to Speed Up Firefox Immediately 9 Simple Tweaks to Speed Up Firefox Immediately Whether you're a long-time Firefox user or switching from Chrome, this quick guide shows how to speed up Firefox performance. Read More — This article from Mihir Patkar shows us easy ways to enhance our Firefox browsing experience. From adjusting plugins to the benefits of bookmarklets, these handy tips are helpful to build up that Firefox speed. With simple ways to handle your add-ons to how to adjust advanced settings, this piece walks you through all six items clearly. If you missed this post when it was published in June and are wondering what you can do to speed up Firefox, it’s not too late to check it out. 4. 12 Incredibly Useful Ways to Manage Multiple Tabs in Firefox 12 Incredibly Useful Ways to Manage Multiple Tabs in Firefox 12 Incredibly Useful Ways to Manage Multiple Tabs in Firefox We all need an extension (or ten!) to wrestle browser tabs into submission effortlessly. Especially you, you tab hoarder. Read More — Also from Akshata Shanbhag, this terrific article suggests helpful ways to manage your tabs. You may open tons of tabs each day for work or do so when you get home to play. Either way, you do not have to get lost in too many tabs. Whether you want to group them, save them, reopen them, or preview them, this post has you covered. Along with useful tips on how to manage your tabs, the article provides you with tools you can use to accomplish each suggestion. So, if you find yourself becoming overwhelmed with your tabs in Firefox, pop open this post for a little help. Whether for increased productivity, simple sharing, or quick access to applications, Firefox add-ons are incredibly useful tools. Sometimes it can be tough to find the ones you want or those that work well. This is why MakeUseOf does the researching and testing for you. Tile Tabs [No Longer Available] for viewing several tabs at once with various layouts. Roomy Bookmarks Toolbar [No Longer Available] for using multiple rows and auto-hiding bookmarks. Pushbullet for sharing images, links, and files between multiple devices. Add to Wunderlist [No Longer Available] for Wunderlist users to quickly add a new task. GTasks Panel [No Longer Available] for Google Task users to access lists and tasks fast. Note Board [No Longer Available] for capturing notes, images, and syncing on Android or iOS. Toodledo [No Longer Available] for syncing tasks and to-do lists with the website and mobile devices. Nimbus Screen Capture for grabbing screen shots with edit and save options. Similar Sites for providing you a list of sites like the one you are currently visiting. Tab Grenade [No Longer Available] for closing all of your tabs at once. Xmarks Sync [No Longer Available] for bookmark and password syncing across browsers. Classic Theme Restorer [No Longer Available] for bringing back buttons and options from previous Firefox versions. TinEye for fast reverse image searching. FEBE [No Longer Available] for backing up and restoring Firefox add-ons. Hootsuite Hootlet [No Longer Available] for Hootsuite users to share on Facebook, Twitter, and other social media sites all at one time. So, there is our wrap-up of Firefox for 2016. We gave you a collection of helpful tips and handy add-ons and Mozilla gave you new features and useful enhancements. Is there something that you are hoping to see come to Firefox in the new year? Or, do you have a particular MakeUseOf post that helped you with your favorite browser?